Maximize space while creating an impressive display. 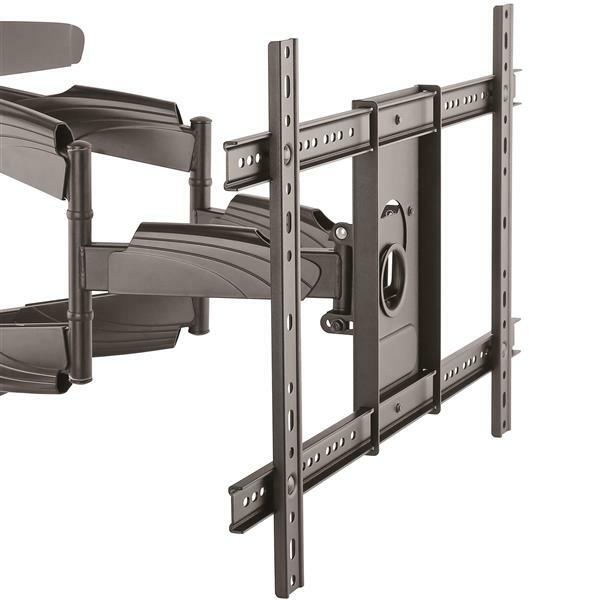 This full-motion TV wall mount supports flat-screen TVs from 32" to 70" in size, with a weight capacity of 99 lb. (45 kg). Mount your flat-screen TV in a location that's convenient for visitors, clients and employees, and free up valuable space. 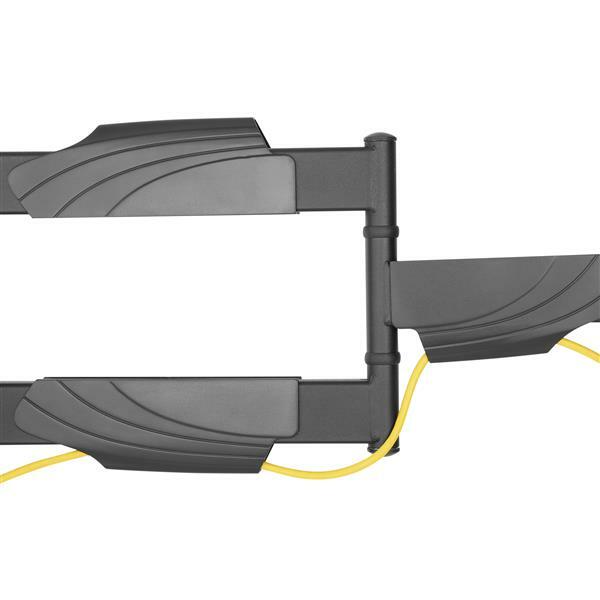 The wall mount is ideal for a lobby, boardroom or other venue. 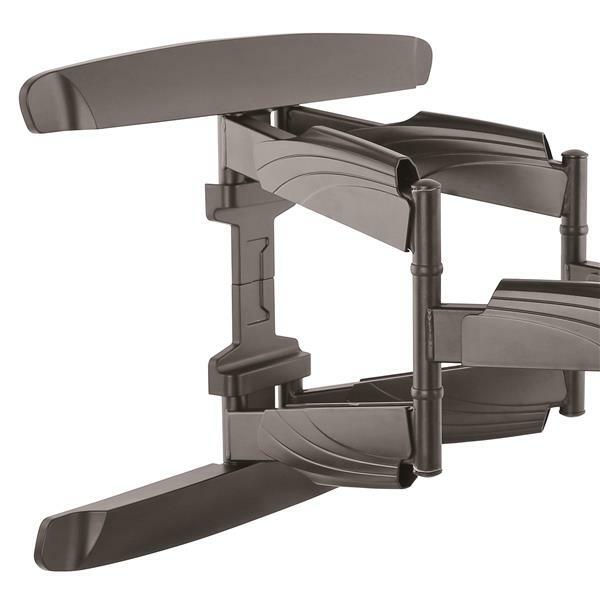 The TV wall mount also includes built-in cable management to keep cables neatly out of sight. 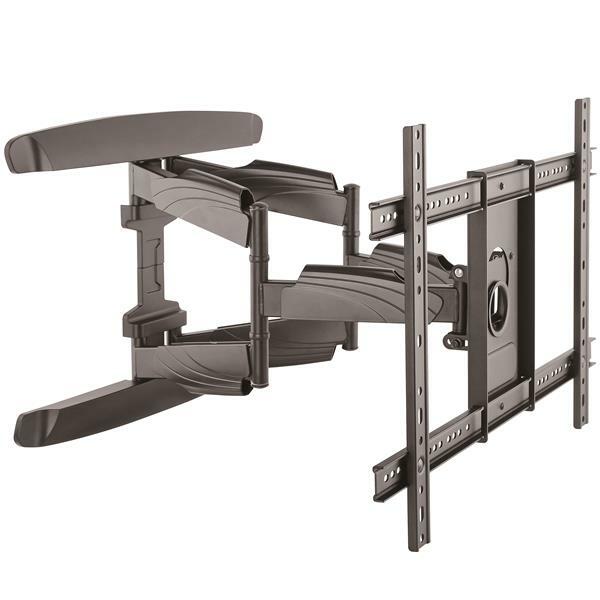 The TV wall mount features dual arms that extend out to 20.4" (517 mm) from the wall to provide a wide range of movement and accommodate different screen positions and angles. The arms can also fold to tuck in closely to the wall, providing a low profile that enables your display to be positioned just 2.24" (57 mm) from the wall. 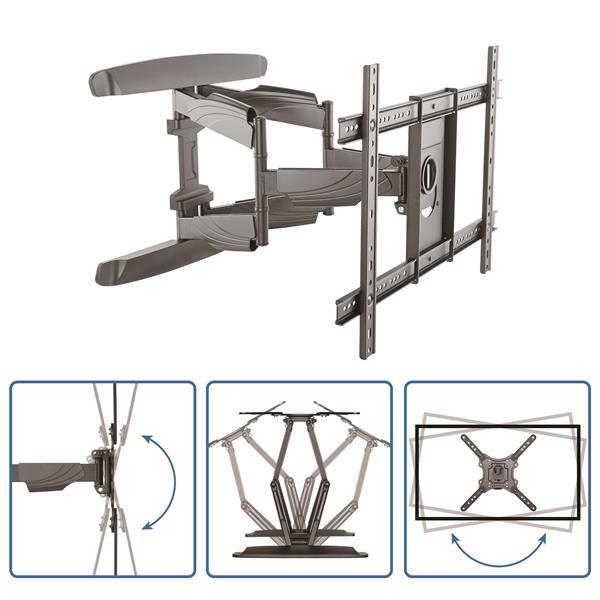 You can swivel your display +90 / -90 degrees and tilt +5 / -8 degrees, letting you angle your TV display toward your audience. 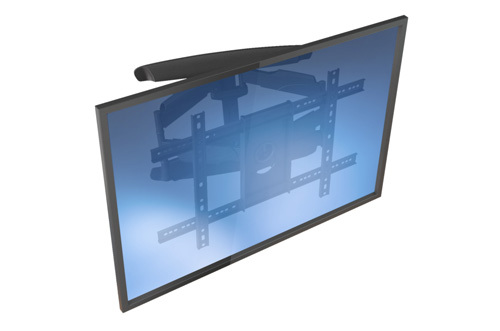 Plus, the tilt feature lets you adjust the TV so that you can view it comfortably at any height. A built-in level adjustment also offers 5 degree clockwise and counterclockwise turning, to ensure your display is perfectly level. 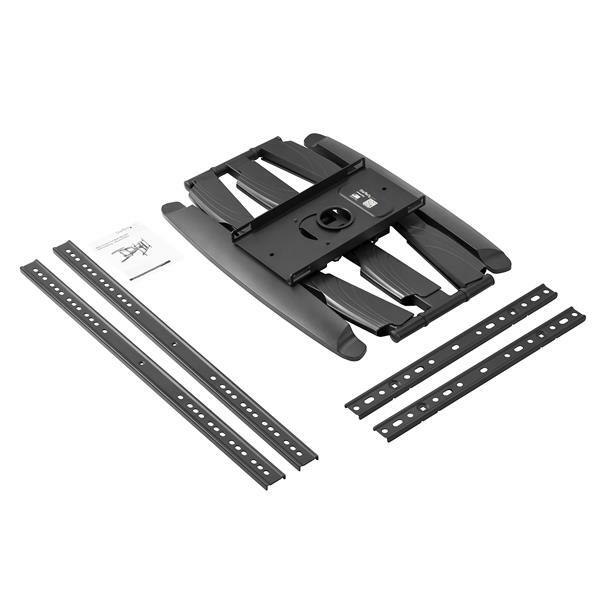 The heavy-duty steel construction, dual-arm design and dual-stud mounting for studs placed 16" apart, provides increased durability and security. It safely and securely supports your flat-screen TV, to protect your investment. FPWARTB2 is backed by a StarTech.com 5-year warranty and free lifetime technical support.